Father General of the Society of Jesus, Arturo Sosa SJ, will visit the West Africa Province (AOC) from 16 to 22 April 2019. A visit that will lead to Chad and Cameroon. The two countries are among 14, that make up the province. The others, namely: Benin, Burkina-Faso, Central African Republic, Congo, Ivory Coast, Gabon, Guinea Conakry, Mali, Mauritania, Niger, Senegal, and Togo. In Chad, Hermann Badjaï Massama SJ, states that “receiving the General of the Society of Jesus in our missionary land is above all a source of mutual comfort, in the sense that this visit will bring on the one hand - I am sure - to the companions working in Chad, a joy similar to that which lived the disciplines of Emmaus because we cannot deny that the experience of the field is often faced with disappointments; also Fr General will experience the beauty of the small flames that are gradually emerging in this country. I hope that this visit will be an opportunity for our Fr General to take stock of the context in which the Jesuits from AOC are working in Chad and Cameroon. Adding, he said, I expect from Fr General to share with us the orientations and perspectives which emerge for the Society of Jesus, few years after the General Congregation marked notably by its election at the head of the Society of Jesus”. In conclusion Hermann Badjaï Massama SJ, said, "after the departure of Father General, the scholastics of the province will gather in Douala (Cameroon) to discern on the future of AOC and that supposes that we are enlightened by him who, by his current position in the Society of Jesus, is better placed to talk about the needs of the same Society." 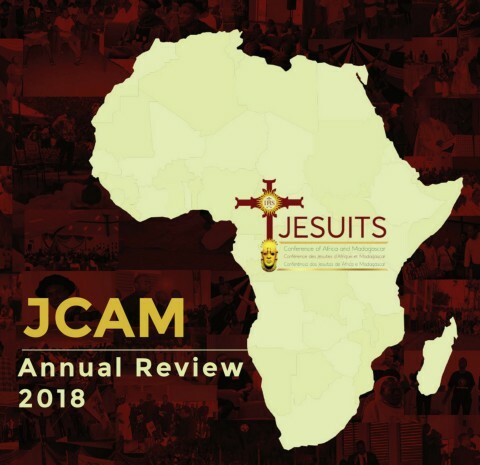 From Cameroon, Sawadogo Denis SJ, affirms that the visit of Fr Sosa in AOC is a “sign of hope for the Jesuit mission in Africa and a call to move forward in the announcement of Christ to the African people at a time of unprecedented challenges such as illegal immigration, socio-political, cultural and structural crises”. For him, “welcoming Fr General is to feel carried by the whole Universal Society in the propagation of a faith that does justice for the greater good of the people of God living in Africa and especially in the AOC Province." A student of theology at Hekima University College, Augustin Koffi SJ recalls the visit of former Fr General Adolfo Nicolas SJ in 2016 to AOC: “His simplicity and his smile. Moreover, as scholastic, it was important for me to meet the successor of Saint Ignatius. This made me feel and realize that the link among all the Jesuits across the world is real. Furthermore, describing our current world, he pointed to the globalization of superficiality as one of the problems of our time. That is why he invited Jesuits to go beyond superficiality. According to him, a Jesuit is a person with an opened thoughts and not a closed mind”.